Hi friends! 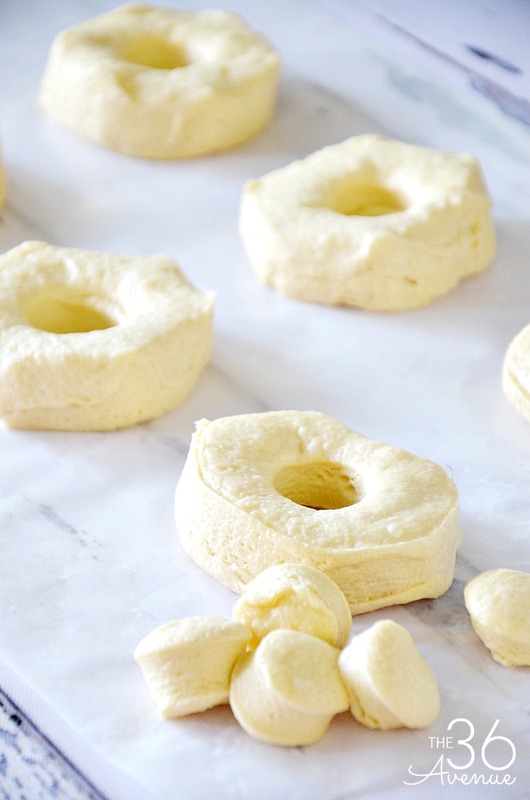 Today I’m sharing the easiest Doughnut Recipe ever! 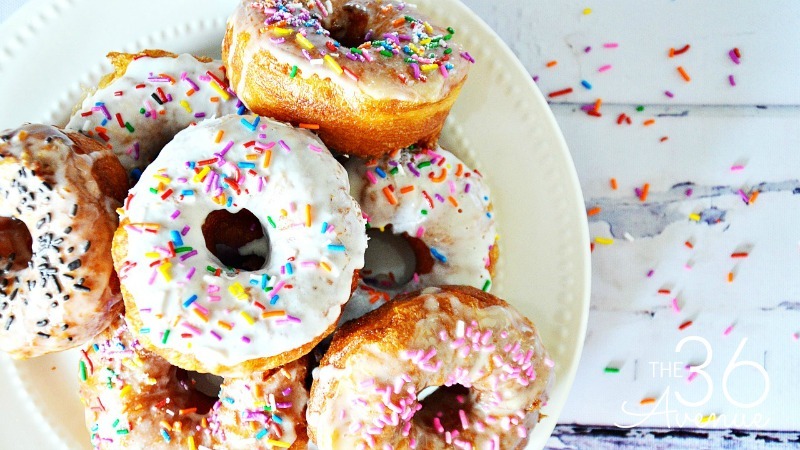 You can have a plate of hot delicious doughnuts ready in 15 minutes or less! I love making these on Saturday mornings for breakfast. My kids love them, I love them, and the fact that they are not messy is always a bonus! Are we ready? 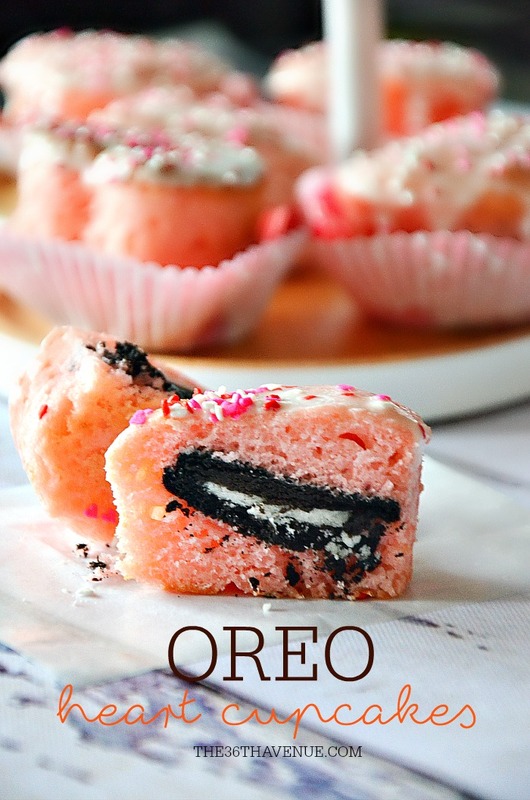 You are going to love how easy this recipe is! 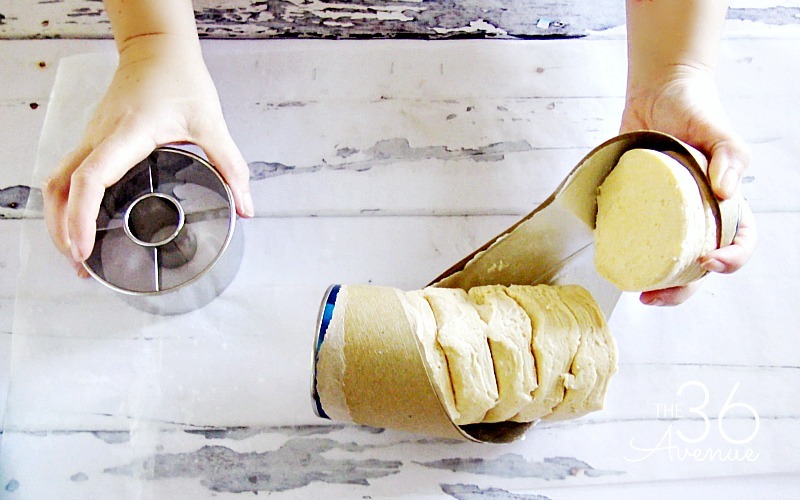 Open the Biscuit container and place each biscuit on top of waxed paper. 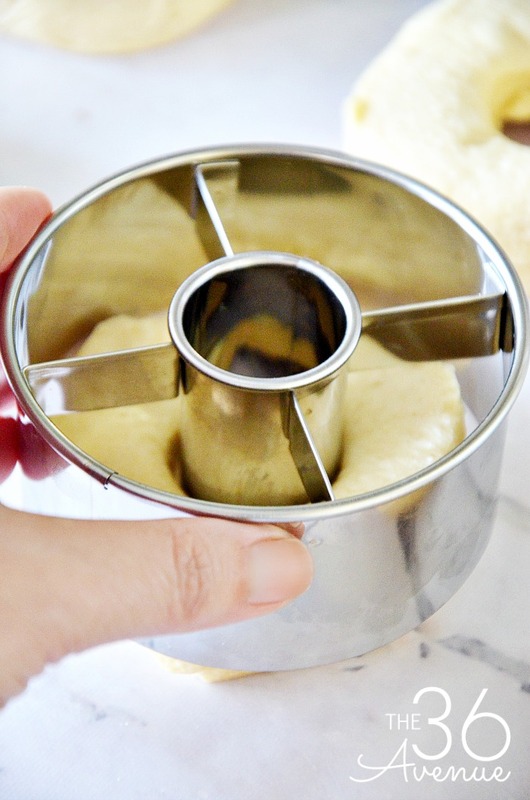 Center the doughnut cutter on top of a biscuit and press down to form a doughnut shape. Repeat until all the biscuits are cut! 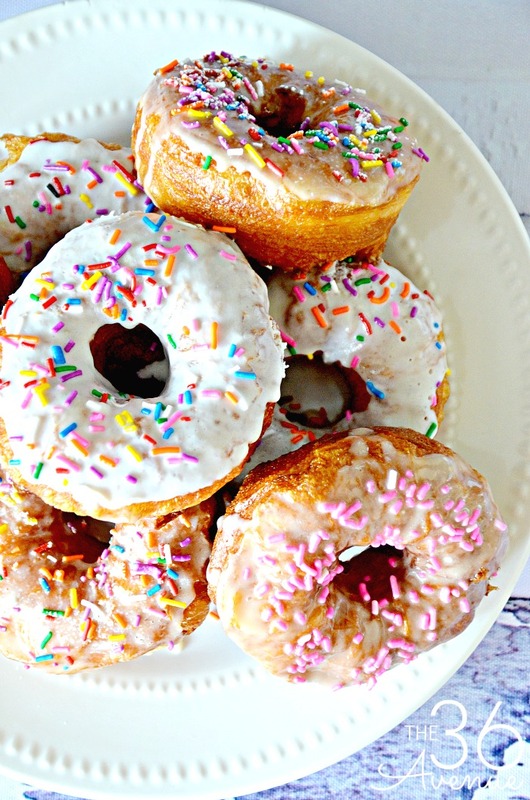 Save the doughnut holes… They are also yummy! By the time you are done you’ll have 8 doughnuts and 8 doughnut holes! In a frying pan heat at least 2 inches of vegetable oil until a deep-fry thermometer registers 360°F. If you don’t have a thermometer you can check the temperature by placing a donut hole in the hot oil. When the oil bubbles around the dough and makes frying sounds the oil should be ready to go! Cook one side of the doughnut on medium high for about two minutes and until the dough turns golden brown. Turn and fry the other side. Transfer when done to a plate with paper towels to soak up the extra oil. 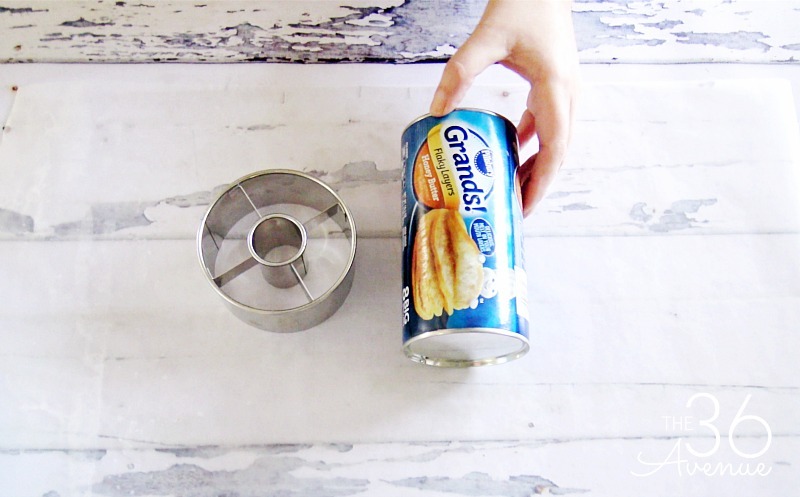 Use a fork to mix powdered sugar, vanilla, and 1 tb. milk in a bowl. 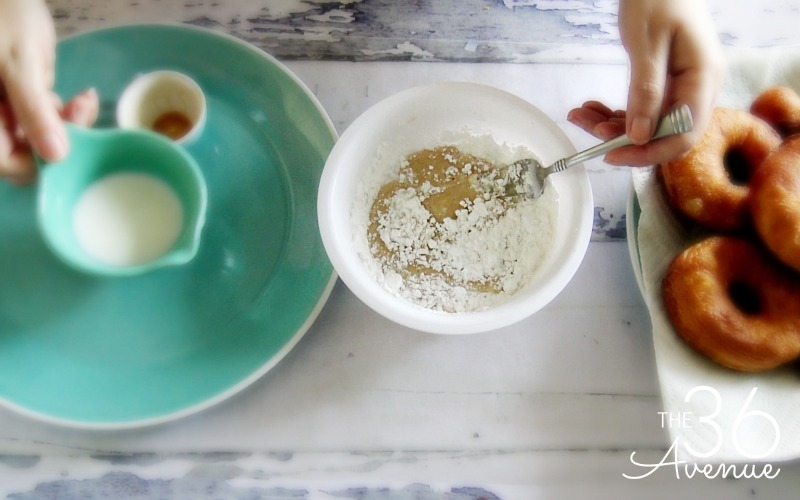 Add additional milk if needed to make a smooth, pourable glaze. Here are some other quick recipes that I love! My kids will love these! 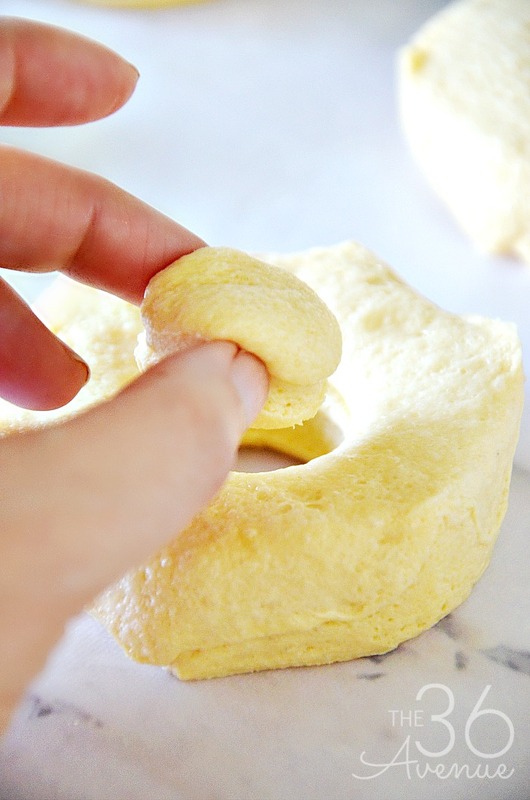 I’ve made them as a dough in a donut pan before but this is way easier! Thanks for sharing!! …and so easy! We love them!